Mountain Jews call themselves Juhuro (or Juvuro, in their Quba dialect), which means ‘Jews’. Following the immigration of Jews from Germany in the 10th century, the latter are called Juhuro Esghenezini (i.e. Ashkenazi), while the local Jews identify themselves as Juhuro Imuni (Jews of our Region, i.e. the East Caucasus), or else Ivri (Hebrews), or Yehudi. In bibliographical data, they are East Caucasus Jews, Mountain Jews, Tat Jews, Juhur, or Dagh Chufut. In Russia, they are known as Gorskyie Yevrei (Mountain Jews). They have always kept in touch with Judaism, although they were geographically isolated from other Jews. Moreover, their rites, clothing and language were different. Before the Second World War, there were an estimated 53,000 Mountain Jews. The largest communities were found in Quba (Azerbaijan) and Derbent (Dagestan). There are several theories about their origin. One claims that the Parthians and the Sas-sanids had Jewish colonies settle in the Caucasus so as to prevent raids by nomadic tribes from the Pontus steppes (in the north-east of Asia Minor, today’s Turkey). Another claims that they were Tats who converted to Judaism (and that in consequence today’s Muslim Tats are the descendants of Jewish Tats who converted to Islam). Finally a third conjecture has them descend from the Khazars, which is rather unlikely, since they were established in the Caucasus long before the advent of the Khazar kingdom. Some of the Mountain Jews came down to the coastal plains in the 18th and 19th centuries, but kept the name of Mountain Jews. In the local auls (a Tatar word meaning a fortified vil-lage in Dagestan) as well as in towns, a distinct district was reserved for them. They adopted the mountaineer’s clothing but kept the Jewish religious rites and codes. While elsewhere in Central Asia they were forbidden to own or cultivate land, here and in the 19th century they were farmers growing cereals. Their oldest tradition was rice production, but they also raised silkworms, tobacco and grapes. They also had vineyards, which was prohibited to Muslims because of their religious rules. They were good at tanning, which was their third main occu-pation after farming and food production. In towns they were businessmen and craftsmen. In the Soviet era Mountain Jews were allowed to carry on with their trades, although this had to be integrated into collectivist systems such as kolkhozes. Nowadays, however, they live alongside other ethnic groups. Before the Soviet era, children (boys only) were educated at the synagogue. Then new elementary schools were created, where everything was taught in the Tat language until the beginning of World War II. The first newspaper in the Juhuro language (Zakhmetk Hech: ‘The Workers’) was launched in 1928. After the war, education was provided exclusively in Russian in Dagestan, and the newspaper disappeared. Nevertheless, Jewish intellectuals are still very active as actors, writers and poets on the Dagestan cultural scene. During World War II, the Mountain Jews were at first systematically persecuted by the Germans, just as other Jews were elsewhere (I). But German policies changed in 1942 and this saved a number of Mountain Jews (II). It was in November 1942 that the Wehrmacht reached furthest into Soviet territory. The occupied areas where Mountain Jews lived were located in the autonomous republic of Kabardino-Balkaria. Most Mountain Jews lived in the east of the Caucasus, in Azerbaijan and Dagestan, which were not invaded by German troops. The German experts were very keen to study the ethnic identity of the Mountain Jews. Some believe that this interest came from the fact that Georgian, Iranian and Afghan Jews in France had tried to prove to the Germans that even though their religion was Jewish, they did not belong to the Jewish race. After some controversy about the Mountain Jews’ origin and racial origins, the Wannsee Institute published a report on the Caucasus population under the authority of Heydrich as Head of the Sicherheitpolizei and SD. This report is likely to have been released in order to avoid the kind of uncertainties that had emerged in the case of the Karaits and Krymchaks. The conclusion was that the Caucasus Jews had not been able to blend into the local population and were thus to be regarded as a foreign body in the region. This was the logic followed by German troops when they discovered Mountain Jews in Crimea. According to a report dated 16 March 1942 by the Ortskommandantur (V) 810 of Ievpatoria, a non-Jewish member of the Chaumian kolkhoz who was unknown to the German authorities, denounced the 114 Jews who were members of the same kolkhoz. He told the Germans that those people were Mountain Jews who had been transferred to the kolkhoz by the Soviet government with the help of American subsidies, namely from the Jewish Joint Distribution Committee. 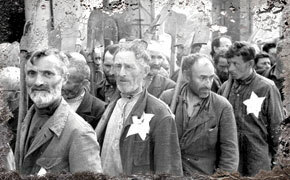 Fifteen men of the kolkhoz were killed on 1 March 1942 in Ievpatoria, and another ninety-eight Mountain Jews were put to death on the spot by the Feldgendarmerie “in collaboration with the SD.” According to Kiril Feferman, the fact that these executions were not mentioned in the Einsatzgruppen’s reports shows that no decision of principle had been made at that point and that it was only a local isolated event. After the regions of Krasnodar and Stavropol were occupied, the Germans continued to dispose of Mountain Jews as well as of other Jews. But as the Wehrmacht progressed in August and October 1942 into the districts of Mozdok (North Ossetia) and Nalchik (Kabardino-Balkaria), Mountain Jews were found to be proportionally more numerous. 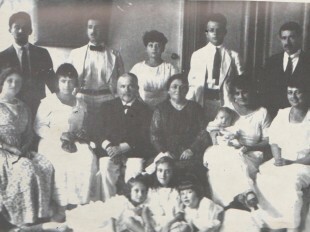 In the region of Mozdok, these Jews lived in the kolkhozes of Bogdanovka and Menjinskoye (Kursk district, Krasnodarski Kray region). The Soviet government had sent them there in the 1920s. The Germans were unable to differentiate them from the rest of the population, who were Christians; until the latter started denouncing their Jewish neighbours. On 20 September 1942, the German authorities informed the Jews of Bogdanovka that they were going to be taken away, because the war front was too close. They were all executed outside the village. According to the Red Army’s archives, the Jews were all rounded up into a club house. Then the men had to dig a pit and then wait in a group and finally bury the dead before their turn came. Women and children were killed afterwards. Some 450 Jews were executed on this occasion. The dispatching of the Jews of Menjinskoye was carried out on 19 October 1942. They were taken on carts to the village of Kurskaya twelve miles away. Several families managed to escape during the transfer. The Germans and the local police executed 180 Jews. A number of Jews were hidden by their neighbours. According to Kiril Feferman, 850 people were killed in those two kolkhozes. The executioners were probably the EK 12 or Wehrmacht troops. In Mozdok itself, the Jews were allowed to survive because between August 1942 and January 1943 the town was close to the front, on the German side. Both Mountain Jews and Ashkenazi Jews could move about freely. According to survivors’ testimonies, many of the area’s Jews had sought shelter in Mozdok. However, according to Altman, in August 1942 many Jews were executed in the vicinity of Mozdok. It is amazing that no execution should have taken place in Mozdok itself, in spite of the fact that a Teilkommando of the SK 10b was stationed there from October 1942. The Extraordinary Soviet Commission found no evidence of Jews having been executed in Mozdok, but other testimonies indicate that the Mountain Jews were submitted to registration and forced labour. Nalchik, the capital of Kabardino-Balkaria, was occupied 28 October 1942. More than 3,000 Jews had been living there before the war. That figure rose with refugees from the occupied territories. The situation for Mountain Jews in this area was different from other places because those Jews had developed close relationships with their Muslim neighbours, who regarded them as a Caucasian people. In order to secure the support of local Muslims, the Germans created a National Council of Kabardino-Balkaria. The Wehrmacht even ordered its soldiers to act with restraint when dealing with the local population. In December 1942, Otto Bräutigam, representative of the Ministry for the Occupied Territories, arrived to implement specific German policies concerning the peoples of the Caucasus. Bräutigam had been appointed by Alfred Rosenberg in May 1942 as expert on the Caucasus. In his memoirs, Bräutigam said he wanted to prevent the extermination of Jews. But the military bureaucracy claimed to be incompetent on the Jewish issue and advised him to ask SS Brigadeführer Walter Bierkamp, who had replaced Otto Ohlendorf as Head of Einsatzgruppe D. Bräutigam tried to convince Bierkamp that Mountain Jews were not to be treated like other Jews. Their extermination might be misinterpreted by other peoples of the Caucasus and stir resentment. Moreover, at the ‘ethnic’ level, Mountain Jews were but a “small harmless people” who had never wronged Germans and had adopted Judaism only a few hundred years before. Bierkamp accepted this point of view and, after visiting the Mountain Jews, he confirmed Bräutigam’s position: “They are not Jews, but a people of mountain shepherds of the same kind as the Turkish ones.” In a report to his headquarters, Bräutigam wrote that, after a visit to the Mountain Jews at the end of 1942, Bierkamp had ordered that they not be executed. That decision is confirmed by other historical sources. First Selim Chadov, representative of the National Council of Kabardino-Balkaria, claimed after the war that he had received a delegation of Mountain Jews in November 1942. Their delegate, Chabayev, explained that the SD had established a list of all Mountain Jews, who consequently feared they might be executed. Chadov then obtained an interview with Marshall von Kleist, head of Heeresgruppe A of the Wehrmarcht, and his representatives in Kislovodsk, Piatigorsk and Nalchik. He explained to the Germans that the Karabadians and Balkarians, as mountain peoples, regarded Mountain Jews as fellow natives, as confirmed by mixed couples, traditions, culture and also similarity of language. A German commission verified this by analyzing the lifestyle and traditions of the Tats by visits to the houses of Mountain Jews. The Germans concluded that they were a mountain people and von Kleist confirmed this in December 1942. His order is not documented, especially because this question was not within the competence of the Wehrmacht (see below). But the testimony of a Mountain Jew from Nalchik corroborates the fact that the German bureaucracy did deal with this issue. Nochom Chmilov insisted in his testimony that the Mountain Jews did ask the representative of the National Council for help and that the latter agreed to assist. Chmilov also confirmed that the Germans had come and had been shown how Mountain Jews lived and “had nothing in common with Jews.” This is likely to have been the same visit mentioned by Bräutigam in his report. According to him, Bierkamp had been convinced that Mountain Jews were quite close to Muslims since they practised polygamy. According to Mordechai Altschuler and Yitzhak Arad, the question of the racial identification of the Mountain Jews was then forwarded to the experts in Berlin. But the German authorities’ investigations did not spare all Mountain Jews. 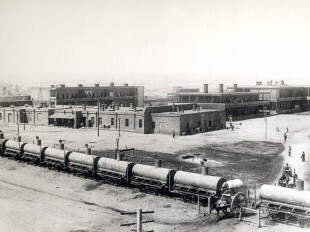 More than 100 people had already been killed. They were probably executed with other Jews from Nalchik and Jewish refugees. According to the Extraordinary Soviet Commission, over 600 people were put to death in antitank ditches two miles from Nalchik, behind the airport. Altman mentions only one execution of a few dozen “European” Jews and ten Mountain Jews in Nalchik in November 1942. 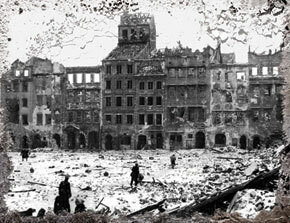 According to German sources, the last Jews of Nalchik were dispatched in early 1943, just before the Soviet offensive. Debates about Mountain Jews lasted until May 1943 without the experts of the Chancery’s racial policy department being able to reach a conclusion. This is confirmed by an exchange of messages with the Ministry of Foreign Affairs. 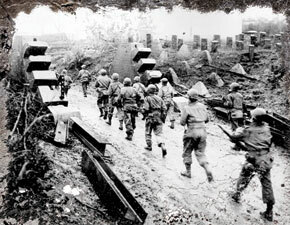 The advance of Soviet troops brought an end to their inconclusive deliberations. The total number of victims was up to 1,000 of the 5,000 Mountain Jews who lived in the area at the time of the German occupation.